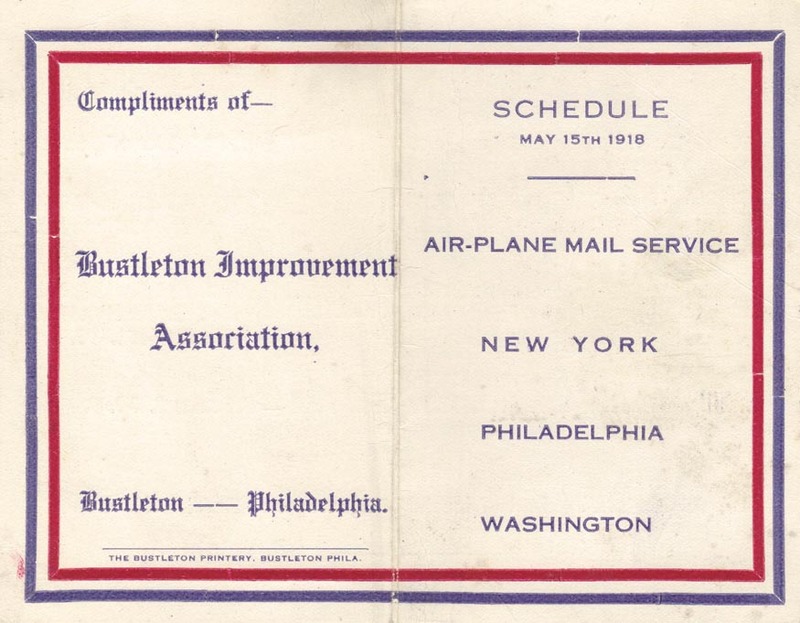 This timetable shows the first air mail service in the United States. 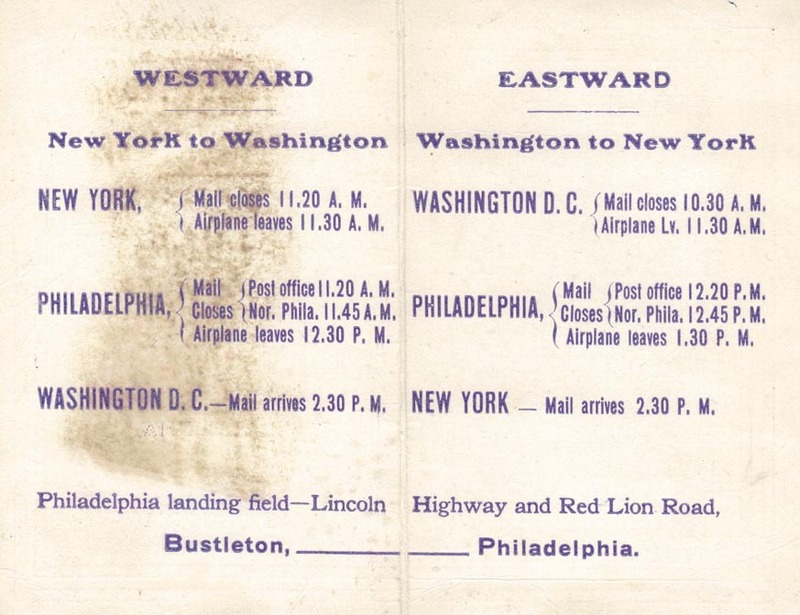 The westward service was completed according to plan, but the eastward was aborted before reaching Philadelphia. This page last updated February 12, 2012.